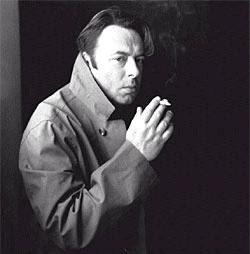 "Hitchens then explained that he finds it “extraordinarily objectionable” to exclude the “occupant of the womb” from the human family." Boulder, CO, Jan 28, 2009 / 12:05 am (CNA).- Writers Dinesh D’Souza and Christopher Hitchens brought their polemics on religion and atheism to a debate Monday evening at the University of Colorado at Boulder before a sold-out crowd of 2,050 in the campus’ Macky Auditorium. D’Souza, a Catholic and author of the book “What’s So Great about Christianity,” argued that Christianity is the foundation for many common values such as scientific inquiry and respect for the individual. Additionally, he asserted that Christianity proposes the best answer for bridging the chasm between man and God.